MSRA Theory Group aims at advancing the foundation of computer science and its intersection with other disciplines such as game theory, economics, social networks, optimization and statistical physics. We collaborate with other researchers and engineers to solve challenging algorithmic and analytical problems in both theory and practice. Currently, our research areas include computational aspects of social and information networks, algorithmic game theory, mechanism design, online learning, algorithm and complexity, and distributed computing. Survey: “社交网络影响力传播研究”. 陈卫，大数据，第三期，2015Wei Chen. Research on influence diffusion in social networks. Big Data Research, No. 3, 2015 (in Chinese). Pinyan Lu received the 2014 Young Scientist Award from Chinese Computer Federation. Book: “Information and Influence Propagation in Social Networks“, Morgan & Claypool, 2013. TKDD CASIN special issue: ACM Transactions on Knowledge Discovery from Data special issue on Computational Aspects of Social and Information Networks. 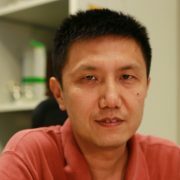 Guest editors: Wei Chen and Jie Tang. CASIN’2011: International Workshop on Computational Aspects of Social and Information Networks, July 20-22, 2011. Coorganized by MSRA and Tsinghua University. We are welcoming applications to our full-time employee positions and regular internship positions. We are also welcoming visiting researchers from academia and industry to visit our group, for days, weeks, or longer period of time. If you are interested in joining our theory group, please send email to Wei Chen at weic@microsoft.com.